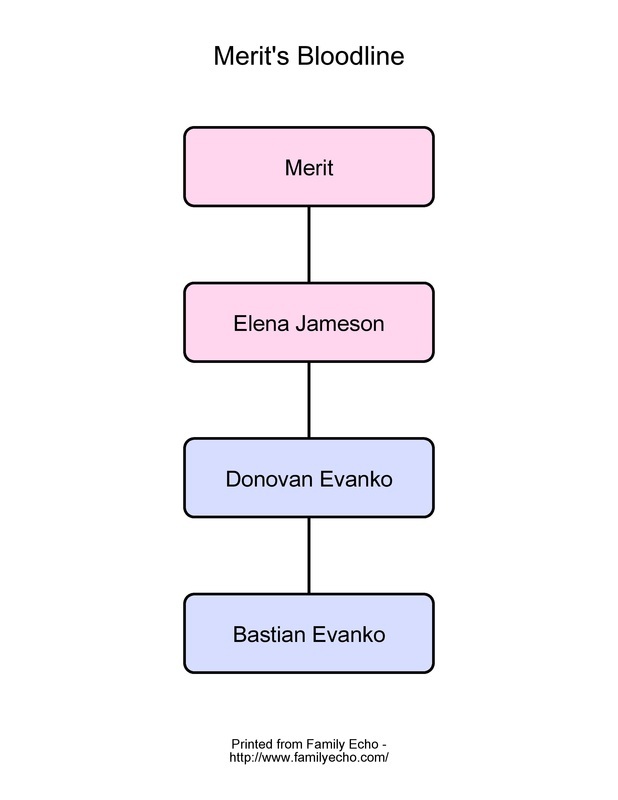 Scroll down to see which Elders' bloodlines the series vampires come from. Each vampire may have sired (turned) others, but they are not shown since they are not in the books. Akori is the Lead Elder. 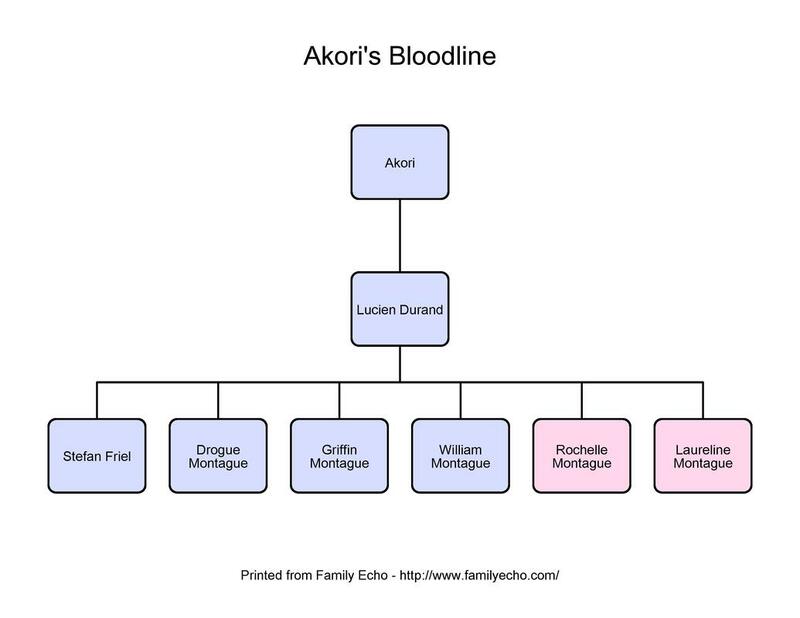 Lucien is Akori's offspring. 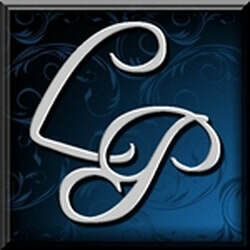 Stefan is Lucien's first offspring. Drogue, Griffin, and William are brothers. Rochelle and Laureline are their cousins and are twins. Iseret is Akori's wife. 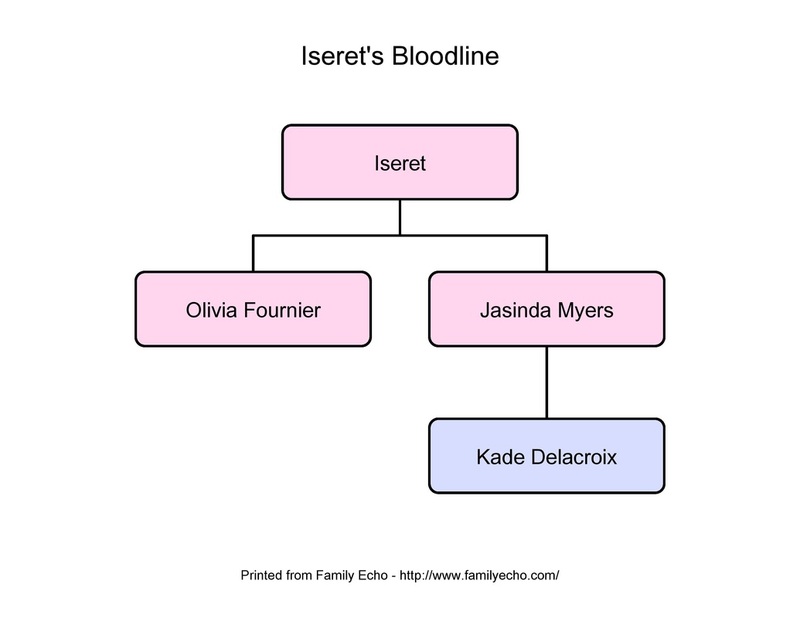 Olivia and Jasinda are many generations down Iseret's bloodline. James is only a few generations down Kenti's bloodline. Elena is many generations down Merit's bloodline. Donovan and Bastian are brothers, but Donovan sired Bastian. 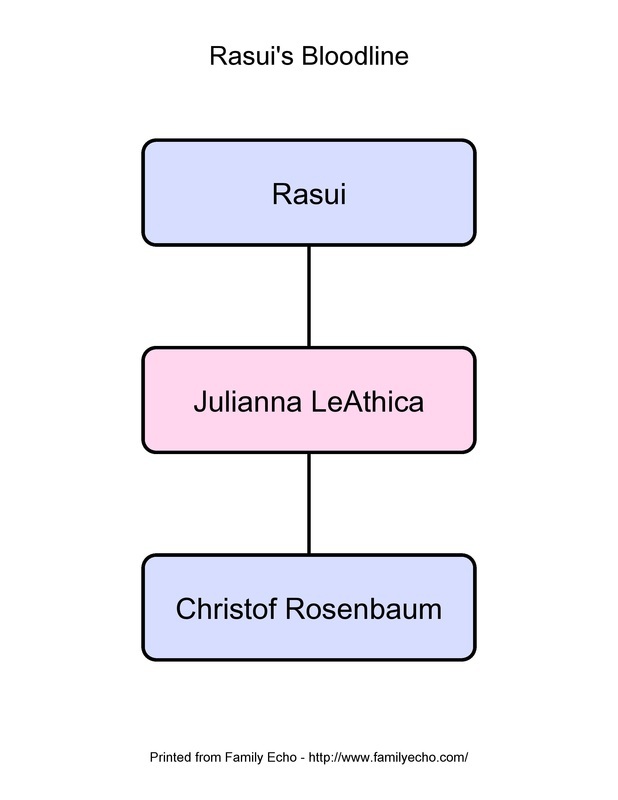 Julianna is many generations down Rasui's bloodline.